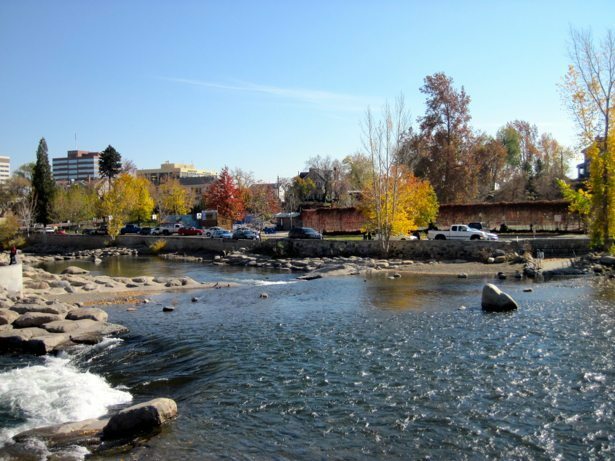 We drove 12 hours out of our way (through a snowstorm for a good part of it), going North rather than South, to paddle at the Truckee Whitewater Park in Reno, Nevada. 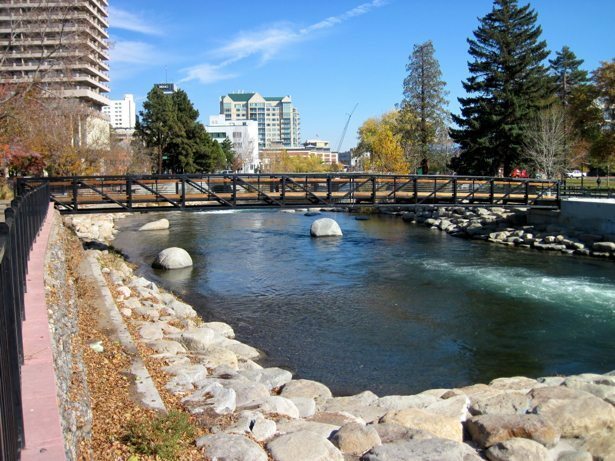 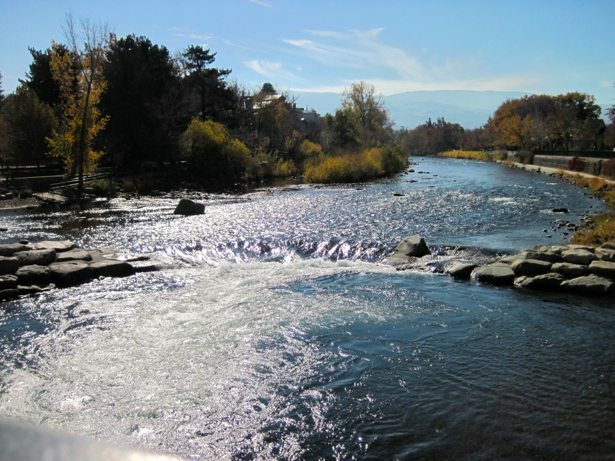 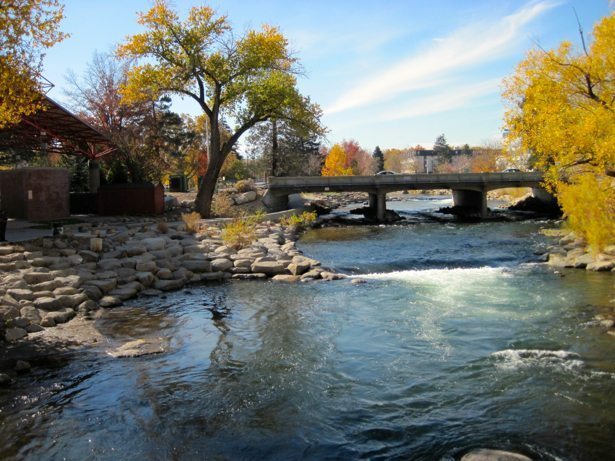 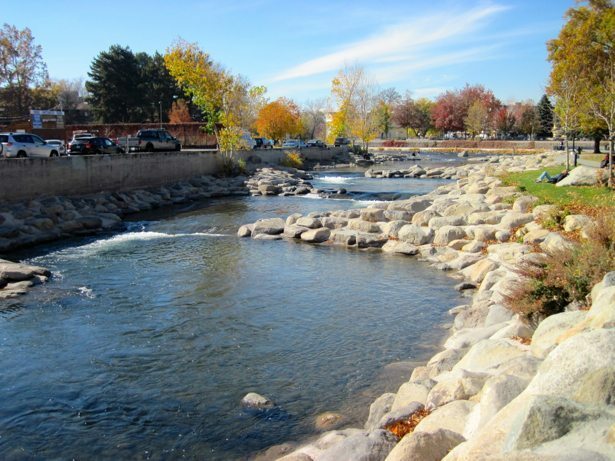 It is a series of 11 features on the Truckee River in downtown Reno. 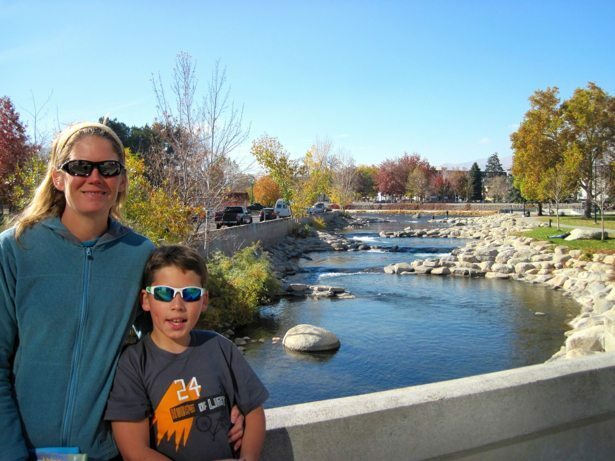 Everything we have read says that the park is open year round with relatively steady water flows so we were highly optimistic after being shut out of paddling the 2 whitewater parks in Idaho due to lack of water. 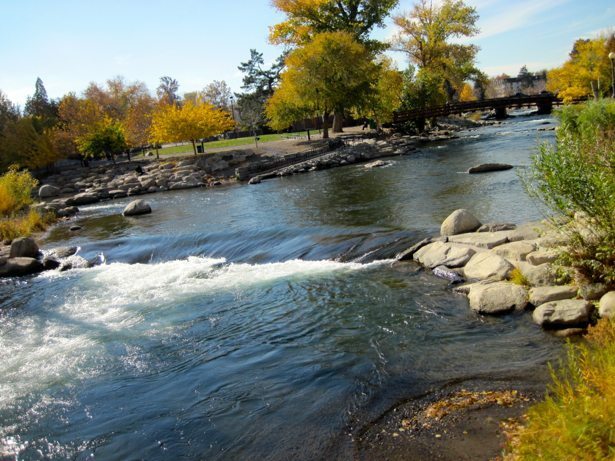 Unfortunately… we showed up the morning after a snowstorm and the water levels were perfect for ducks, not kayakers! 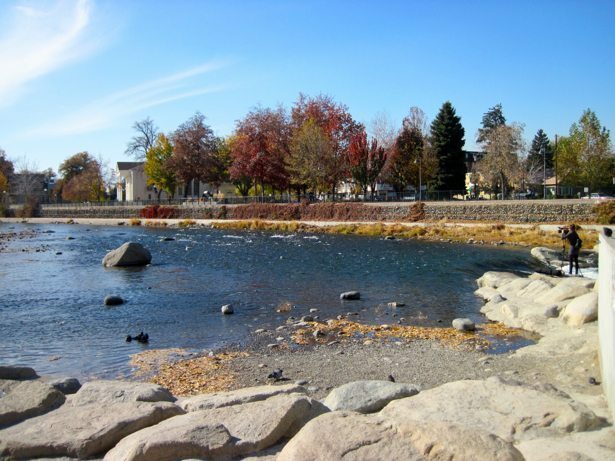 It was a beautiful fall day and the ducks were actually floating down the water features and splashing around in the waves. 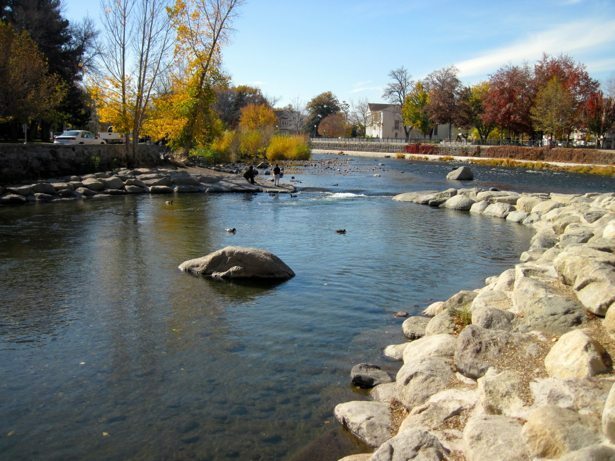 The water was low enough for one dog to be running around in the river chasing the ducks! 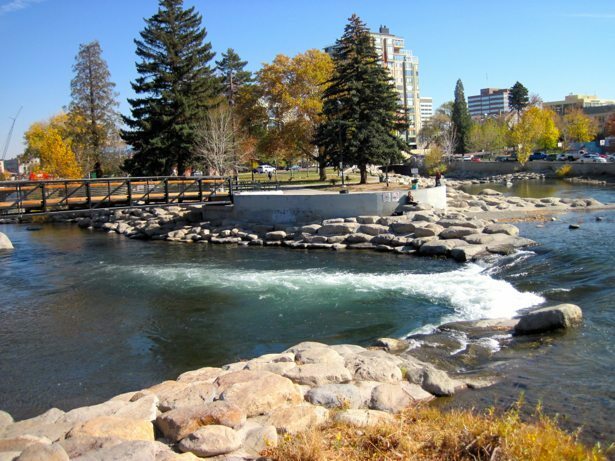 We walked all around and are jealous of the features – it looks like an amazing run with very fun play spots and lots of learning opportunities. 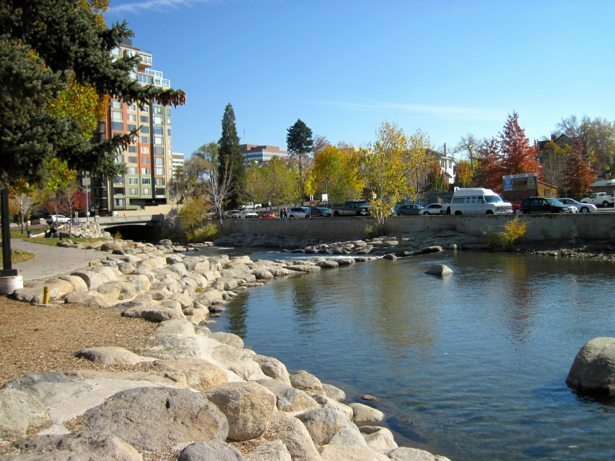 The silver lining is that we are coming back north in March so we will be watching the water levels closely in hopes that we can justify another detour to finally get some paddling at this park.